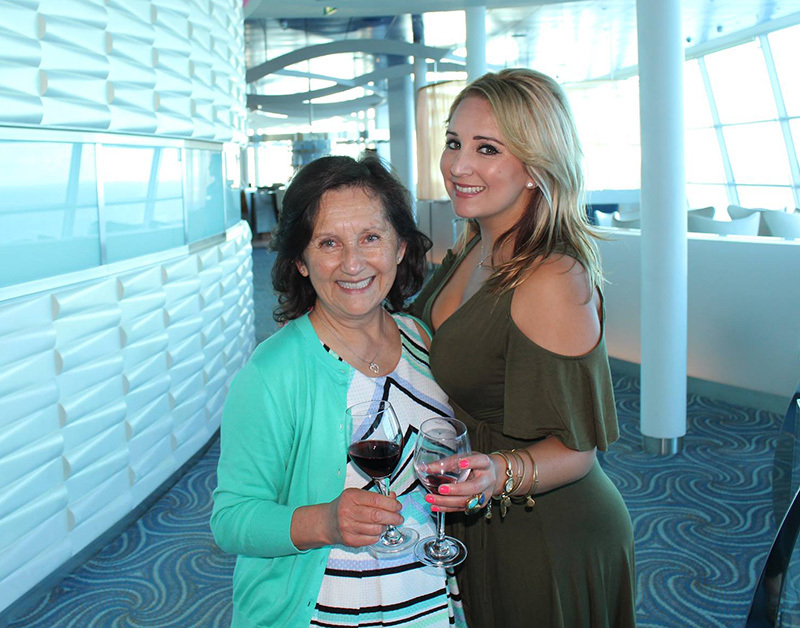 Highlights of our Ceja Vineyards wine cruise to Alaska aboard Celebrity Solstice. Ports included: Ketchikan, Tracy Arm Fjord, Juneau, Skagway & Victoria B.C. 7 days of delicious food, wine, adventures and unforgettable memories with 84 of our fabulous wine club members and familia! Can you beat that? Beauty + Wildlife - I had high expectations of beautiful landscapes and scenery but was absolutely blown away! I’ve also never seen so many Bald Eagles and whales in my life. Food + Wine - If you enjoy fresh seafood like crab, salmon and halibut there’s no better place than Alaska! 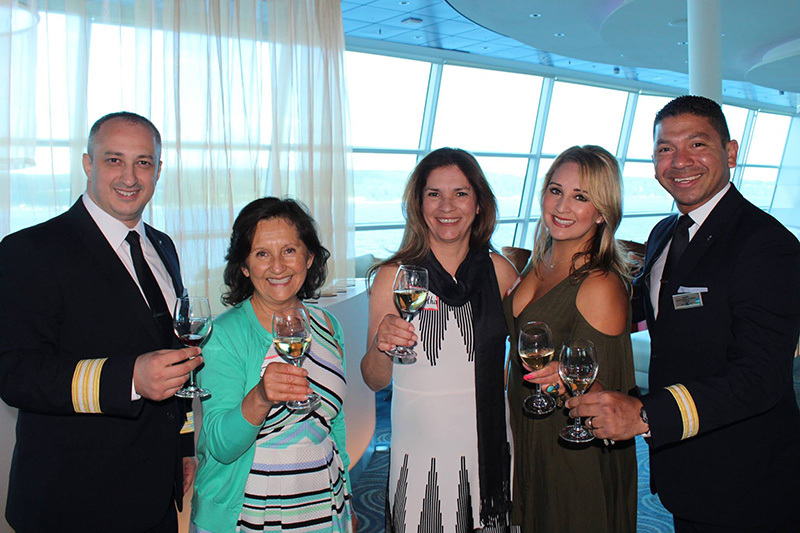 Aboard the Celebrity Solstice we hosted 7 private Ceja wine and food focused events. 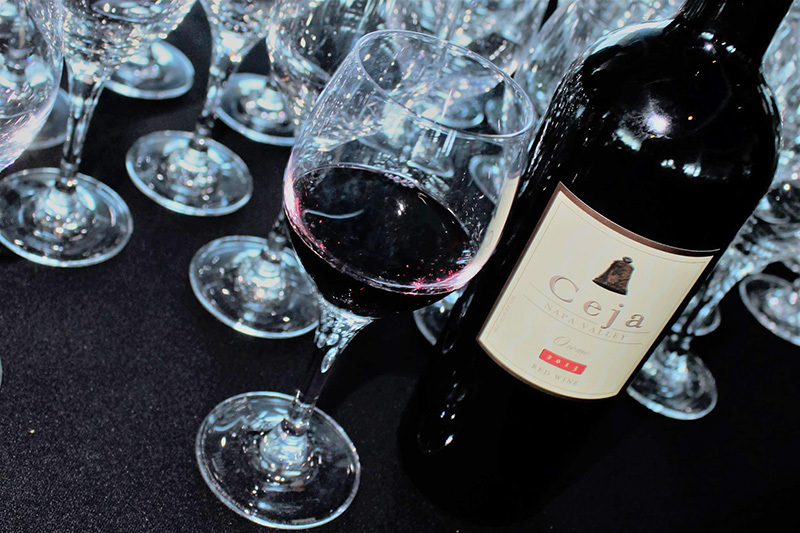 Top events included: A 4 course luncheon paired with our vino, a cooking demonstration paired with Ceja wine (we made chilaquiles paired with our Pinot Noir), and a Salsa dance and wine drinking party! This cruise is meant for foodies and winos who love nature's paradise. Company You keep - We went with 84 of our awesome wine club members and it made the experience 10 times better! 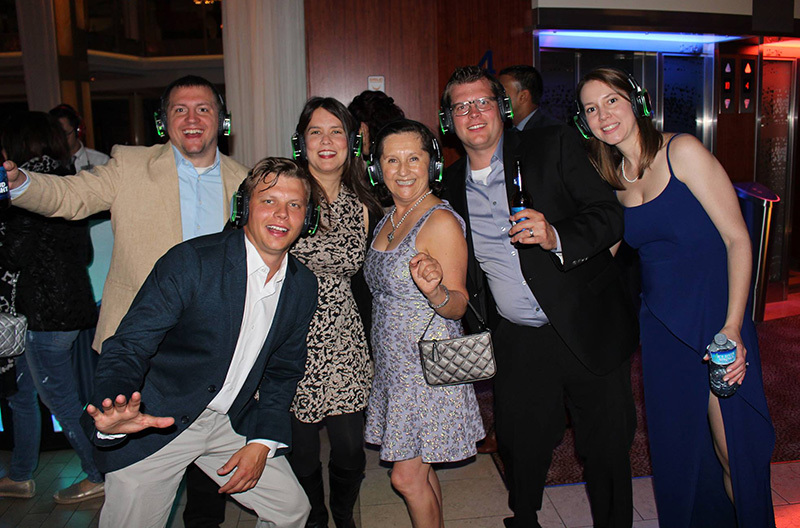 It was a unique and fun bonding experience who are forever linked to our familia as lifelong friends. 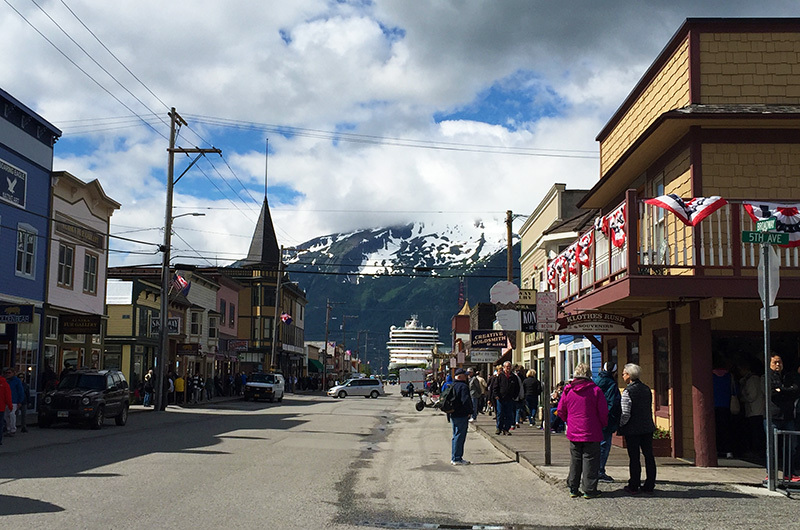 Excursions - When in port you MUST take advantage of each destination in Alaska. Top excursions included: A Bald Eagle wilderness boat ride and crab feast (Ketchikan). 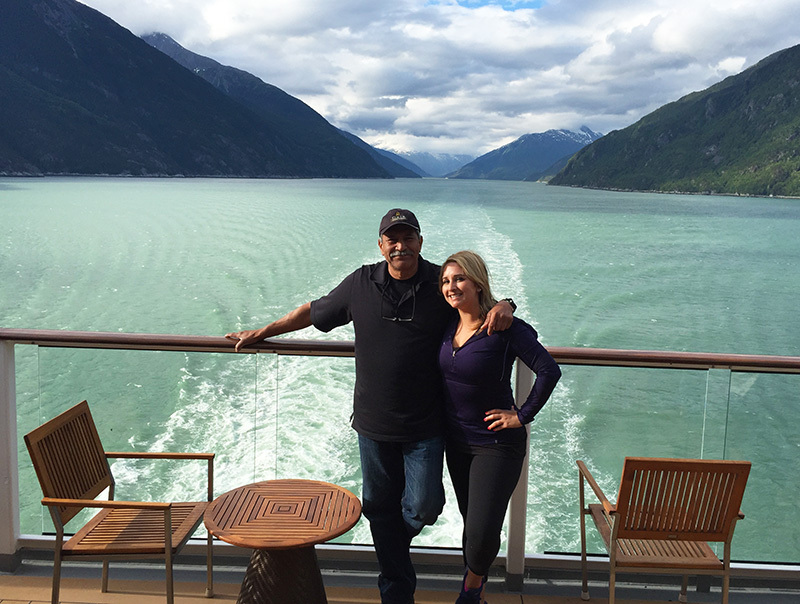 Cruising through Glacier Bay. Get your cameras ready! (Tracy Arm Ford). Canoe trip to Mendenhall Glacier + waterfall (Juneau). Taking a train ride through the White Pass and Yukon Route then biking down the mountain. Scary but so fun! (Skagway). Lastly, walking through the magical Butchart Gardens at dusk (Victoria, BC). So, who's coming on our next wine club cruise?! October in Napa is picturesque and magical. The change in season is like a kaleidoscope of vibrant colors displaying burnt orange, red and yellow hues throughout the sweeping vineyards while intoxicating smells of wood burning chimneys linger in every pocket of wine country. It also marks the beginning of the holiday season welcoming a shift to fall fashion trends, boots and layers! As a kid, one of my family's traditions was to visit Stanley Lane Pumpkin Patch and almost 30 years later, it's still here! It was nostalgic reminiscing of my childhood while strolling through and picking out the perfect pumpkins to decorate our tasting rooms. It's truly the simple joys in life that keep us young, spirited and happy. Chiang Mai, Thailand – also referred to the “Rose of the North” embodies delicate beauty with endless mountains, colorful hill tribes, a playground for seasoned travelers, a paradise for shopaholics and a delicious delight for adventure seekers. Part two of our trip was underway and I couldn’t wait to hit the ground running. Two things were absolutely for certain in our itinerary: visit the Elephant Nature Park and enroll in the Chiang Mai Thai Farm Cooking School. After two full days in Bangkok, we were ready for a change of scenery of semi relaxation filled with non-stop eating, drinking and exploration. In comparison to the bustling streets of Bangkok, Chiang Mai has a tranquil, mystical and welcoming energy that instantaneously makes you feel at home. We had three full days to explore this ancient city surrounded by history that dates back to the 1200’s. Pretty rad! 11am - Flight arrives to Chiang Mai - the adventure begins! Hotel: We stayed at the Jangmuang Boutique House selected for it’s traditional “Lanna Style” architecture located in the Old City and situated in walking distance to Nimmanhaemin Road – the epicenter of artsy and hipster Chiang Mai. Chiang Mai is overflowing with ancient Buddhist Temples (Wats), and within the city and its outskirts, there are over 300 temples that reflect the glory of the ancient Lanna kingdom. Considering our limited time, we selected to explore: Wat Chedi Luang (built around the 1400’s), Wat Phra Singh (best example of Lanna Style architecture and culture) and the Wat Suan Dok (home to the brilliant gold and white Chedis and campus of the Buddhist Monk University). Each Wat showcases intricate carvings, stunning gold Buddhas, painted murals and a colorful display of monks assembled for prayer. I couldn’t get enough! 4:00pm - 5:00pm - Take a power break and cool off at your hotel/hostel or neighborhood watering hole for some Chang beer + Thai snacks. 5:15 - 6:30pm - Book a traditional Thai Massage. There are literally hundreds of Thai massage parlors scattered throughout the city walls. Depending on your comfort level, you can choose an air-conditioned parlor or enjoy an outdoor massage on the streets painted with people, bars, restaurants and shops. The most attractive part is the cost. Dirt-cheap friends! A 60-minute massage costs less than $10 US. I highly recommend entertaining a daily massage (we did!). 7:00pm - 9:00pm - Indulge in some delicious Thai grub. Chiang Mai is known for its culinary arts and for all you serious foodies out there you will be in absolute heaven! Through various recommendations, we decided to try Lemongrass Restaurant located off the famous Night Bazaar. It was a hit! We feasted on tasty charred octopus skewers, Pad See Ew noodles and yellow curry with chicken. Amazing first dinner in Chiang Mai! 7:30am - 8:00am - Enjoy a Thai breakfast (hot chicken broth + noodles + fruit + coffee) and wait to get picked up at your hotel/hostel to drive to the Elephant Nature Park. 9:00am - 11:45pm - Arrive to Elephant Nature Park. Dedicate the first part of the morning feeding the rescue elephants. Incredible experience! Elephant Nature Park is an elephant rescue and rehabilitation center located in the outskirts of Chiang Mai where you can volunteer and visit to help the gentle giants. Before traveling to Asia, I always wanted to ride an elephant not knowing that elephants were being mistreated, beaten, starved and abused. This rehabilitation center rescues elephants that once belonged to circuses, logging camps and other entertainment based companies. There is absolutely NO RIDING of elephants. Period. Hanging in the river with 'Happy" the elephant. incredible experience! 12:00pm – 1:30pm – Lunch fit for kings and queens! Enjoy a delicious and healthy Thai buffet including all the classic curries, noodles, soups and sautéed veggies (lunch is incorporated in the cost of the tour). 1:45pm – 5:00pm – Take a long walk throughout the preserve following the gentle giants in their natural habitat. You’ll have a chance to encounter a variety of other animals including buffalos, dogs and cats that were rescued due to similar misfortunes. My favorite part of the day included hiking to the river and giving them a bath! What a privilege it was to feed, walk and help bathe these beauties in a safe and healthy environment. What a dream come true! 7:00pm – 9:30pm – Dinnertime at Cooking Love Restaurant. We discovered Trip Advisor to be an excellent source of information when narrowing down a selection of restaurants for dinner. We were famished and Cooking Love stole the show with its signature and exotic mango infused curries and pineapple-fried rice. What a feast for the eyes and stomach! 10pm - 12am – Explore the Night Bazaar. This fashionista, artisan jewelry and fabric lover couldn’t get enough. It's the best market to buy beautiful Thai clothes, rugs, colorful jewelry, bags, spices and much more! I did the majority of my souvenir and personal shopping here. It stretches until the eye can see and also proved to be an excellent location to people watch. 7:30am – rise and shine, it’s cooking class time! 8:00am - 9:00am – Enjoy a Thai breakfast and get picked up at your hotel/hostel to drive to the Chiang Mai Thai Farm Cooking School. For those that know me well, they understand my love affair with Thai cuisine and exotic flavor combinations. My enthusiasm to learn classic Thai dishes had been on my bucket list for years and having the opportunity to learn in Thailand was thrilling. Homemade Pad Thai Noodles. Delicious! Yellow Curry with Chicken + Sweet Basil Thai Chicken + Chang Beer. Yes, please! 10:00am – 4:00pm – Class in session. In an intimate 10-person class, we started the day by taking a tour of the organic garden where the school grew all of its herbs, limes and certain produce utlilized in most dishes. Our teacher’s name was “Yummy” and it couldn’t be more perfect. Our demonstration kitchen was located al fresco with a cooking station dedicated to each student. From start to finish we learned the key basics of classic Thai cooking. We had the option to select 5 dishes to prepare (and eat along the way). My menu consisted of: Tom Yam Kung Soup, Chicken Pad Thai, Yellow Curry with Chicken, Fried Chicken with Basil Leaves and Sticky Mango Rice for dessert. Hungry yet? Since returning home we’ve recreated the magic of Thailand and prepared the same menu we learned at the Thai school for a Mother’s Day Brunch in Napa Valley. Let’s just say our families were impressed and left the brunch with happy tummies and smiles. 5:00 – 6:00pm - Take a power break and cool off at your hotel/hostel or neighborhood watering hole for some Chang beer or refreshing cocktails. 8:00pm – 10:00pm – Watch a LadyBoy Cabaret Show. Night owls have the opportunity to watch the most entertaining show in Chiang Mai! We did and so worth the hype. Located in the Night Bazaar the nightly show features some of Chiang Mai’s prettiest and liveliest lady boys. The performers sing, dance and put on a vibrant show while dressed up in outrageous dresses, full make up and wigs. Yes, please! You might even get a kiss on the cheek. 72 hours in Chiang Mai proved to be too short. My heart ached to stay longer but the islands and beaches were calling my name. Next up, Island hopping in Phuket, Koh Phi Phi Island and Railay Beach. Stay tuned for part three of my adventures in Thailand! My trip to Thailand was simply, incredible. I instantaneously fell in love with this vibrant and exotic country steeped in history, rich culture and delicious cuisine! For years, I’ve been itching to explore this beautiful nook of Southeast Asia, which inspired me to get a tattoo in Thai script – Live Your Passions – a few years ago. My excitement grows as I write this, making me nostalgic that I’m not there now but ecstatically happy and fortunate that I went on an extraordinary adventure that will never be forgotten. Since returning home I've had many inquiries about my travel itinerary and daily highlights so I decided to share my two-week itinerary and tips focusing on Bangkok, Chiang Mai, Phuket, Koh Phi Phi Island and Railay Beach in three installments! My partner-n-crime on this trip was my bf Chase and with much anticipation we dove right into this exotic place. Let's begin in Bangkok, where we hit the ground running doing what we do best: eating, drinking, exploring and documenting beautiful moments and places in every neighborhood. Agenda: Visit The Grand Palace, Wat Phra Kaew, Wat Pho, 24-hour flower market and Moon Bar for sunset. 7:00am – Rise and shine - the adventure begins! Hotel: We stayed at the cozy and lovely Sala Arun Boutique Hotel located in the heart of The Old City situated along the Chao Phraya River overlooking the Wat Arun (Temple of the Dawn). Bonus: it’s in walking distance to the Grand Palace and Wat Pho. A note about Thai breakfast: traditional western breakfast doesn’t really exist. You could have fried rice or pad see ew noodles with a fried egg on top (I was perfectly happy with those options accompanied by a side of fresh fruit and coffee!). Weather: April in Thailand is hot. I mean you could probably crack an egg on the streets and make Pad Thai with it (no joke). Sunblock, hats and water are a must for exploring this concrete jungle by day. Dress code: ladies and gents make sure to dress appropriately and cover your shoulders and knees. If you aren’t dressed suitably they will allow you to borrow some clothes. This applies to the majority of sacred temples you visit throughout Thailand – however, not so fun in 95-degree heat. The Grand Palace: majestic and beautiful in every aspect that you can imagine. The architecture, Buddha figures, art and history are astonishing. Every corner you turn is surrounded by history so dated you feel like you are walking back in time. Crowds were intense that day so if you think Disneyland is overwhelming prepare yourself. Take your time and enjoy yourselves, you're walking through some seriously cool history! This temple was my favorite historical landmark that we visited in Bangkok. It’s one of the oldest temples in the city and home to more than one thousand Buddha images as well as the largest gold plated Reclining Buddha measuring 150 feet (46 m) in length. For someone who loves history and beauty, you'll be in complete awe. 1:30pm - Lunch - Escape the heat and find some killer Thai food! After thoroughly exploring the surrounding temples we were considerably famished and hot and set out to find our first authentic Thai lunch. We walked across the street from the Wat Pho and nestled ourselves into one of the local restaurants. We shared a Tom Kha soup, green curry and pad thai w/ shrimp and washed it down with some extra cold Chang beer. For someone who doesn't really drink beer, I quickly became a HUGE beer fan in Thailand. Beer was the only refreshing beverage that quenched my thirst. Wine just didn’t do the trick in such blazing temperatures. I happily enjoyed my fair share of local Thai beers which included: Chang, Leo and Singha. After cooling off we went in search of the largest 24-hour flower market in Bangkok. With luck on our side we discovered it was located a few blocks from our hotel. On our walk we encountered and bought our first street food find: mango sticky rice and fresh coconut ice cream. Delicious and so cheap! A note about currency: Baht is very cheap. You can live like a king and queen in Thailand for very little money. We spent the most Baht on accommodations, excursions and alcoholic beverages. Upon arrival to the flower market I was immediately blown away by the hundreds of colorful flower stands selling every type of gorgeous flower imaginable! This was my happy place. Hundreds of colorful flower stands. Amazing! Take an air conditioned break at your hotel/hostel or local bar. Take in the cities electric skyline while sipping on a classy and delicious cocktail. Cucumber gimlet was my pick of choice and the views were insane! 7:30am - Rise and shine! It's located in the outskirts of Bangkok but well worth the drive. Bangkok is known, as the "Venice of the East" with its numerous canals and rivers. A beautiful market where locals sell everything from produce, food and clothes all on long tail canoes. Awesome experience! I couldn't resist buying a fresh coconut and mango ice cream and Chang beer. It's also a great spot to buy beautiful Thai clothes, rugs + artisan jewelry. I wanted to take everything home! We immediately hailed down a tuk tuk and made our way to Khao San Road in search of some street food and entertainment. Khao San Road has a reputation as the ultimate backpacker party hub and has been known across Southeast Asia for decades. Budget guesthouses, internet cafes, bars, restaurants, massage parlors, travel agents, bookshops, market stalls, tattoo shops and hawkers line the 1km stretch of mayhem. You want to party hard, go here! We found a cozy and highly rated restaurant called The Deck. Gorgeous views! Our feast included Tom kha Soup, Pad see eww and a green curry with shrimp and rice. Yum! After dinner we ventured to one of the world's most famous red-light districts, Patpong is where it all started (Thailand's Go-Go culture). It has even been immortalized in a James Bond chase-sequence. Its two parallel side-streets, found between Silom and Surawongse Roads, house around 100 neon-lit strip bars offering naughty shows and the famous pole-dancing entertainment. Be wary of the ping pong show... we kindly declined every offer. 72 hours in Bangkok proved to be exciting, stimulating and magical. Part one of our adventure was almost over. Next up was Chiang Mai, snuggled into the foothills of northern Thailand. Lush in vegetation and colorful neighborhoods, Chiang Mai is a sanctuary of sorts, with a refreshing combination of city accouterments and country sensibilities. Stay tuned for the next installment of my travel adventures in Thailand! Easter weekend was the perfect excuse to jet out of town and head to the countryside to visit family and spend the day exploring the quaint and charming Gold Hill located in Coloma at Marshall's Gold Discovery Park. We spent the day wine tasting and leisurely driving through the beautiful and lush green farmland. The best part of the day marked an impromptu stop at a goat farm as we drove back from Gold Hill Vineyard & Brewery - favorite wine tasting stop! I've always been a firm believer of enjoying the little things in life and documenting each moment spontaneously. That said, the sight and sound of these adorable baby goats brought such happiness and delight to all. Bahhhh. I'm excited to share that I'll be traveling to Thailand this week for the first time! I'm beyond thrilled to visit the 'Land of Smiles' where exotic foods, fascinating culture, vibrant traditions, pristine beaches, elephants, ancient temples and an endless array of adventures await us. See you soon Thailand!